The days of library’s only offering free books is now a vast understatement. Libraries offer a range of free or low-cost resources that residents should be able to benefit from in their local communities. Below I share free library resources that I enjoy, some are nationwide but others refer to libraries in Howard County Maryland. If you see a program being offered below and you are outside of the mentioned area contact your local library or visit their website you can find out if the resources are also offered in your region. Many libraries nationwide are now allowing their members to barrow ebooks from electronic devices at no charge. Personally, I use the free online ebook/audio book services most often to save me time and money. I love to read, but I am also constantly working so while multitasking I listen to free audio books that enhance my knowledge as well as expose me to new authors and subjects I may not otherwise have time to explore. The apps for online books resources are free to download. However, the books generally expire between 9-14 days after checked out. However, just like in a regular library you can barrow a book again, if needed. Most of the e-book apps do require the person to have a valid library card to barrow the books. Very easy to use. One of my favorite free resources. In addition to this app being wonderful because it is free, I like it because it also allows readers to adjust the speed of the audio voice during audio book readings. You can also easily look up unknown words on your device by simply tapping on the word for the meaning to appear. I use this app on my iPad and my iPhone and it works perfectly. Do you enjoy magazines, but don’t want to spend the extra cost or have the extra clutter? We try reading the magazines your library subscribes to on your table or e-reader for FREE. 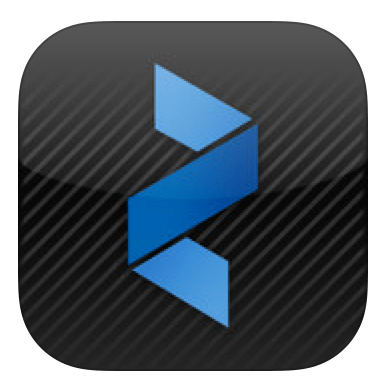 (Available for Mac, iPad, iPhone, Android, Windows 8, Kindle Fire and Kindle Fire HD) – You have to create 2 accounts, one for Zinio and one under your library’s system. I usually add the magazines on my desktop and then titles become available for me to download them to my mobile device. Libraries often offer special programs for children, teens, and adults. Click here for tons of summer reading guides, educational online games, and ebooks for kids. Classes for teens and preteens – Origami 101, Duct Tape Flip-Flops, Try This at Home, Too! (ages 6+), Enchanted Garden Youth Corps, Reading John Green, Sci-Fi Book Jeopardy, Knit ‘n Chat Teen Knitting Group, Teen Fiction Writing Workshop, Soda Science, The Secrets Behind Superman and Batman (ages 8+), Chess Club. There are also Meet The Author events available. Howard County Library offers Free 6 week courses for their customers who are interested in continuing education courses. Reader Response: What are some other library benefits you would recommend?